GLASTONBURY, CT, October 5, 2015 – Gemma Power Systems, LLC (GPS) has received Full Notice to Proceed (FNTP) to commence activities under an Engineering, Procurement and Construction (EPC) services contract with NTE Ohio LLC, an affiliate of NTE Energy, to construct a 475 MW state-of-the-art natural gas-fired power plant in Middletown, OH. Gemma Power Systems, a wholly owned subsidiary of Argan Inc. (NYSE: AGX), is a leading Engineering, Procurement and Construction company providing innovative solutions for the power and renewable energy industry. Our wide-ranging and comprehensive experience includes 11,000 MW of installed capacity including combined cycle and simple cycle gas turbine generating plants, biomass, solar facilities, wind farms, biofuel plants and environmental facilities. 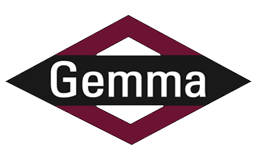 Additional information about Gemma Power Systems can be found at www.gemmapower.com.